I never thought I could give happiness to someone with my hair. I am definitely going to do this as often as I can. I hope it’ll also help to inspire others to come forward and make a contribution for this noble cause. Just imagine, by cutting a few inches of an organ which u don’t need, you could boost the self confidence of another person. 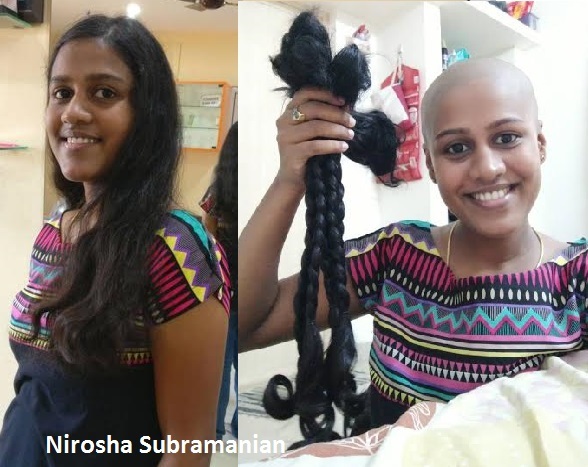 Now I feel so happy that I donated my hair .Nirosha Subramanian.